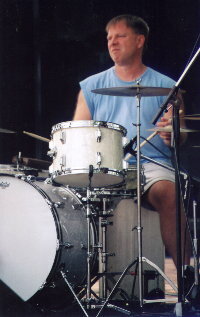 World-renown drummer George Bam Bam Sheppard is a protegé of Henry Adler and Louis Bellson, and has toured and recorded with greats ranging from jazz icon Dizzy Gillespie to the rock group The Talking Heads, from Grammy nominated guitarist Eric Johnson to Handy Award winners the Smokin' Joe Kubek Band with B'nois King. 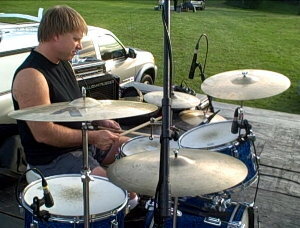 Some of his many credits include performances with internationally accomplished musicians Johnny Amaroso, Louis Bellson, Keter Betts, Ruby Braff, Ron Carter, Billy Cobham, George Cort, Dizzy Gillespie, Benny Goodman, Milt Hinton, Will Lee, James Moody, Bucky Pizzarelli, Dave Sanborn, Maureen McGovern, Marvin Hamlish, Dizzy Fingers Ike and The Melting Penguin. In addition, George has performed on several USO tours.